Peanut butter and jelly; Tom and Jerry; Scorsese and DiCaprio—some combos just click. Two years after their last collaboration, the legendary director and somehow-still-Oscarless actor are getting the team back together. DiCaprio is set to star in Paramount’s The Devil in the White City, with Scorsese attached to direct, as per Variety. The film is an adaptation of Erik Larson’s bestselling nonfiction novel, The Devil in the White City: Murder, Magic and Madness at the Fair That Changed America. DiCaprio has taken on his fair share of dark roles, but this film promises he’ll hit a new high in the evil department. The actor will portray H.H. Holmes—the titular devil—a 19th-century serial killer said to have murdered anywhere from 27 to 200 people, primarily young single women. In Larson’s book, the cunning, sociopathic Holmes uses the hubbub surrounding the Chicago World’s Fair of 1893 to lure his victims to their dooms and then cover his tracks, hiding in plain sight. Although DiCaprio has been interested in the film since as far back as 2010, the project has been kicked around Hollywood for more than a decade now—the film rights first changed hands shortly after the book’s publication in 2004 and have hardly had a chance to collect dust since. Paramount finally won the rights at auction by outbidding five other studios, three of whom were “aggressively” pursuing the project, Deadline reports. Somehow, this is the studio’s third time owning the rights, but the involvement of Scorsese and DiCaprio suggests that this time is the charm. Billy Ray (Captain Phillips) will write the film’s script—Ray’s take on the material, as pitched by Scorsese and DiCaprio, is credited as the reason the project has taken off at Paramount. Director Scorsese and star DiCaprio will also serve as producers, along with Jennifer Davisson, Stacey Sher, Rick Yorn and Emma Koskoff. 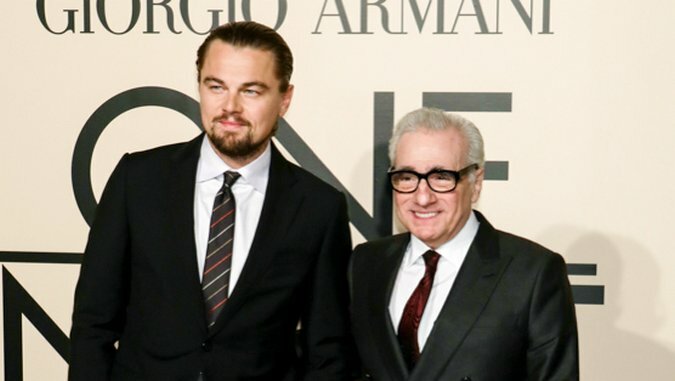 The Devil in the White City appears poised to add a sixth entry to Scorsese and DiCaprio’s long list of outstanding collaborations, which so far includes The Wolf of Wall Street, Shutter Island, The Departed, The Aviator and Gangs of New York. That track record speaks volumes about this film’s potential. The Devil in the White City has no production timeline as of yet, which gives you plenty of time to read the book. Try it—it won’t kill you.